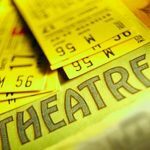 My interest in annual day productions began during my school days where actors would be auditioned and placed into small skits which were strung together with a single theme. We would have professionals coming in to train us for a gruelling 5-6 weeks. The idea of stepping on stage in the glare of the lights to a packed Bhaidas Hall was pulsating and adventurous. It was in these shows that I first discovered my keen interest in Theatre. Thus, when I first started doing annual days, it was to recreate that feeling of excitement, to create work as a team and for the inherent grandeur of the event. 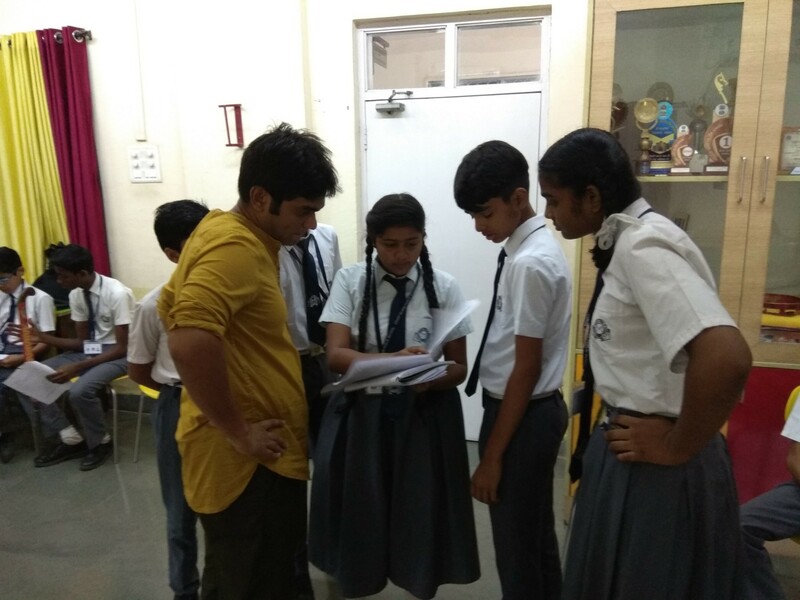 Working on annual days with Theatre Professionals began in 2012 when we put up Malgudi days with a group of 300 children from Euro School, Airoli. After Malgudi Days we did other productions that presented a collage of stories or works of different authors. However, presenting a single story with so many children was a challenge. This show was essentially a by-product of the requirements put forth by the school, Theatre Professionals and my idea of storytelling. There were two major aspects that had to be kept in mind – 1) participation of all the children 2) every child must have something substantial to do on stage. The third aspect was the division of scenes in a way that the regular academics would not be affected. And the fourth one that I made for myself was to tell the story in a manner that would be exciting to watch. Following these rules helped create a show that was a fulfilling experience for all the people involved. This lead to a three-year-long partnership between Theatre Professionals and Euro School which gave me a platform to experiment with varied content, structures of storytelling and exchange of learning with the students. The next year, since it was the 150th birth anniversary of Tagore, we presented Robi’s Garden, which is a collage of Rabindranath Tagore’s short stories and poems. Shruti Sridharan, who was conducting Drama classes in the school back then, came up with the wonderful idea of incorporating Tagore in their Drama syllabus for that year. This led to a research-based method of exploring the work of a major literary figure and there was learning and sharing happening outside the rehearsal room too. The response we received for this show was so assured that I felt like widening the scope of this idea and extending it to other literary gems of India. Thus we began work on Kathaein, another collage of short stories of different writers from across India. Thus both, the students and I were introduced to classics like Premchand’s Idgah, Manto’s Titwal Ka Kutta, Basheer’s The Nose, R.K. Narayan’s ‘Adventures of Malgudi, etc. Important ideas and complex themes like equality, liberalism, humanism were discussed through their work. Different cultures, languages and people were analyzed. These shows were fun not only for the appreciation they received from the audience but the analytical and literary culture that it developed amongst students. By the third year, we were hoping to create an annual day model independent of Theatre Professionals directors. The idea sounded farfetched to me until recently when the Euro school coordinator sent me photos of their recent annual day show which was designed and directed exclusively by the students with some help of the teachers. There could be a number of reasons why a school wants to put up an annual day play; to enhance a child’s creative experience, to enable children to express themselves, to encourage team building, to help understand and analyse a text or just as a show of strength. Whatever the reasons are, the core technique doesn’t vary much. At the centre of every show is a collaborative storytelling process. The important factors here are which story to tell and how to say it differently? Whether it should be visual or text-based? What is the age group we are working with? What is the scale of the show? The auditorium details? How many days of technical rehearsals? How many students are involved? Duration of the show? Involvement of the teachers? What kind of a creative team does the show demand? The answers to these questions shape the show. The key is to get the learners excited and make them understand the importance of the process. Whether Tagore or Idgah or To Kill A Mocking Bird, each play comes with its own set of learning. What would interest a learner is a way these stories build a perspective. Providing a context and making the work relatable to the learners thus becomes essential. My recent annual day experience has made me understand the importance of a coordinator. He/She is the central point of contact for the teachers and the show directors/choreographers. School shows are also about time management and thus communication plays a vital role. Several times the wonderful ideas presented by the writer/director get lost in translation or due to lack of organisation. A coordinator works on these aspects and ensures the smooth and efficient running of the show. To put together a team of instructors and technicians which will work in unison with the same goal helps to function smoothly and also impacts the quality of the final show. A good cast is half the battle won. While you need to incorporate all the students, it is in this week that you have a chance to meet the children, workshop with them and understand their skill set. Often, it is the work put in this week that matters the most on stage. The last week is the craziest. Everything happens at the same time. Suddenly, the entire focus is on an annual day. All departments are trying to help. Thus, you have unknown faces coming up to you and offering help. While you struggle for rehearsal space all through the process, in the last week you get more than you need since there are no academics happening. Costumes, light, sound, set, technical rehearsals in the auditorium – everything is crammed in this one week. There is hardly any time to make changes. Thus, it is best to get the play ready before the beginning of this final week. With all the methodical process, preparation that goes into putting up an annual day and the fear of being judged, one tends to forget the reason why we do this. It is for the thrill and the enjoyment that one derives from stepping on stage. While the rehearsals could be gruelling and tiresome, it is this joy that makes you return to it time and time again. 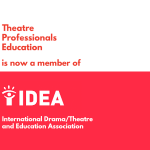 Sudeep Modak, an actor and director, who directed one of our first annual day productions now heads the new Theatre Professionals Education Annual Days team.